We have been receiving an overwhelming amount of feedback regarding our ad placements on Fox News and when our ads air, specifically during the Sean Hannity Show. We wanted to address these concerns immediately, however, there are a few things people need to know. First, we are not what is called a general advertiser. General advertisers utilize an ad agency. The ad agencies are able to request when their client’s ads air. For instance, Forbes reported Cars.com started removing their ads from the show. They are a general advertiser who use an ad agency and are able to pin-point during which shows their ads air. For a full list of general advertisers who have removed their ads from the Sean Hannity Show, click here. Unlike a general advertiser, PC Matic is a direct response advertiser. What this means is, we place orders containing rates for the air time that is remaining after the general advertisers have chosen their ad spots. Therefore, we are not guaranteed any air time at all. We simply receive whatever ad spots are available and within our order. Also, for some of the TV providers, we place orders based on what is called a “network cluster”. For example, there is a “News Cluster” that contained a predefined list of cable news networks such as Fox News, CNN, MSNBC, etc. So, when an ad spot clears for the cluster, we air at the same time on all of the networks within the cluster. For example, an ad that is on at 9:20 p.m. EST on Fox News, will also be on at 9:20 p.m. EST on CNN and MSNBC. We understand the concerns expressed regarding our ads being placed during the Sean Hannity Show. It is important our customers understand, our ad placements are out of our control. We do not have an ad agency to decide when our ads air, nor do we purchase ad space based on programming. We hope our supporters understand our stance, as well as our advertising methods a bit better, now that they have been fully explained above. tips pc matic, Sean Hannity. permalink. PCMatic is not political. They advertise just like Liberal GM. So should we quit buying Chevy’s because they are a liberal organization? Get real. I’m real sure you a minority against the majority won’t hurt PcMatic in the least by getting rid of yourself from them. @James: James, exactly! PC Matic Don’t let these bots scare tactics make you believe everyone hates Sean Hannity. Quite the opposite, check the ratings. Don’t act like you owe an explanation or an apology. The silent majority will drop you like a hot potato. Well, maybe you SHOULD get control over when your ads air. That way you can stop airing on those liberal fake news channels. @Curtis: I’m dropping Symantic due to thier NRA/Liberal BS stance. Was looking for a new security platform. From the sounds of it, PC Matic is a more liberal company than I care to do business with…too bad. Off to the next…of which there are plenty! PC Pitstop, the makers of PC Matic, do not control when their product ads air. By reading the article you had commented on, it is our hope readers understand our advertising methods, and have a better understanding of when our ads air. However, to reiterate, PC Pitstop places orders containing rates for the air time that is remaining after the general advertisers have chosen their ad spots. Therefore, we are not guaranteed any air time at all. We simply receive whatever ad spots are available and within our order. These air times are on all news clusters, which means if our ad is aired at 8 a.m. CST on Fox News, it will also be on at 8 a.m. CST on CNN, MSNBC, etc. We hope this clears it up. If you have any other questions, please let us know. I strongly support your continued ads on Hannity. In fact, it was because of those ads that I became a client. I HATE boycotts that try to shut up opinions. The only boycotts I will participate in are those of businesses and people who promote anti-free speech boycotts. I publish a community newspaper – have for over 22 years – and have suffered boycotts and intimidation by the good-ole boys establishment. I have fought back and will help others fighting back against similar attacks. Please continue advertising on Hannity. It’s one of the few programs that I watch consistently. I find economic campaigning to shut down free speech as beyond reprehensible whether or not you agree. I think you are wise not to become political over this topic. If you don’t agree with a particular show simply “vote” against it by not watching. Lower rating will eventually eliminate shows not worth watching. 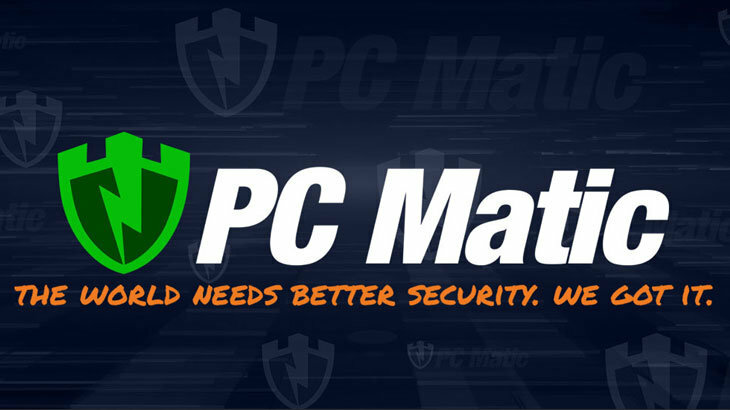 I have been using PC Matic for 5 years and find your product keeps our PC’s safe without being intrusive like some other programs. I particularly find your tech talk. Emails timely and informative. It’s just like the Soros-paid protesters, many who also get health care… there are paid people and bots used to complain about powerful conservatives. Listen not to these naysayers… advertise on TUCKER CARLSON and RUSH LIMBAUGH TOO. I have been a long time user of IObit and AVG security suites. I considered PCmatic, but now I will be switching over because of this. I have been persuaded that PCmatic it a good product. I am a long time user of PC Matic and a long time fan of Sean Hannity. I think you benefit greatly by advertising during his show! Hannity listeners are the silent majority. We are the people who work, who understand morality, who despise political correctness. Please keep your ads on Sean Hannity’s show. If you remove them I will have to consider you to be liberal “snowflakes” and I doubt I will continue using and recommending PC Matic. I’m a paying customer. And I like Both Hannity and Fox News. Wonder how many of those whinny snowflakes, are customers? PC Matic is a great product. Keep up the great work, and forget about the snowflakes. Don’t worry about it. Those complaining need to STFU and move on with their lives. I like Sean Hannity. Keep up the good work! I m proud to use. Support and provide PC PITSTOP product internally and externally. I m also proud to support Hannuty and his right to speak out against the people supported by those swamp creatures called politicians. Not being political means there should be no comment. You need another public relations person. Of course, it’s political. You didn’t mention someone else but Sean Hannity. Stop with your non-sense, we have enough of political correctness. @Maribel: Get a life you snowflake. Just continue your ads and don’t worry about the minority of anti free speech terrorist. The majority of Americans watch Sean Hannity which makes good business sense anyway. PcMatic has nothing to do with politics and it’s a shame that socially retarded people would think such. Please continue advertising on the Sean Hannity/Fox News channel. Sean has a lot of integrity. There are two sides. To give in to pressure like you are getting is to agree with censorship. Please be strong and continue advertising. What’s wrong with ads in Sean Hannity? What’s your problem? More than half of the country COULDN’T CARE LESS!! Since when people voices are shut? Stop with your bias insanity yourself! You provide a service not a political platform. This is second time you reply to anarchists who can care less about Freedom of Speech. I’m beginning to doubt PC Matic is made in America!!! The purpose of the article is not to be political. It is simply for America to understand our advertising methods and the fact that we have no control when our ads air. Thank you for your feedback, and have a great day Maribel! @Kayla Thrailkill: Then why would you say “I understand your concerns’? What concerns? That you advertise on Sean Hannity??? Stop apologizing for that. @Maribel: I was think the same thing Maribel. I want a company that won’t roll over for these ANTIFA thugs! They are the minority. It is all an illusion that they are majority. Bots & too much time on their hands since most don’t have a job. The silent majority just wants to live our life & be left alone, not have SJW ideology shoved down our throat. Enough with capitulating to the Commie Left! I don’t know if I want to use such a snowflakey Company. Need to think about that.